I was recommended this book by a friend and picked it up (along with Holly Black’s other work, The Coldest Girl in Coldtown). I read the Cruel Prince after Coldtown and wasn’t sure I was going to like it, but at approximately ten percent in the world had ceased to exist beyond my kindle. This is a clever book and if you like dark fantasy and grey characters—rather than binary black and white—like I do, I think you’ll find this mesmerizing. At seven, Jude and her sisters, Vivi and Taryn, witnessed the murder of their parents and were then raised by their parents’ murderer in the land of Faerie. Ten years later, Jude is a human amongst immortals, fighting for a place to fit in. She neither fully belongs in the land of Faerie nor in the human realm. She learns weaponry and strategy, and she needs it. 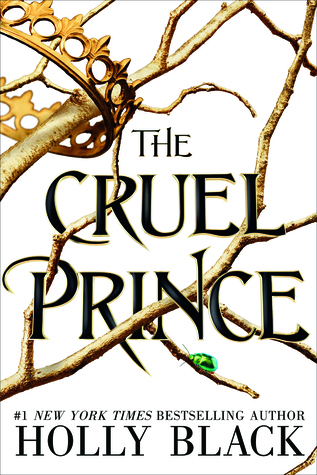 Jude battles prejudice and bullying—the type that made me want to climb inside the book and stab many of the Faeries with anything made of iron—lead by Prince Cardan, the youngest and wickedest son of the High King. What Jude dearly wants is a place at the Court, a place in Faerie where she belongs. She’s caught up in intrigues, deceptions, mysteries, violence, and to add insult to injury, in order to take her place she must defy her nemesis. One of the genius features of this book is that there isn’t a single character I really liked in it. Sure, I was on Jude’s side, but she’s not clear cut. She’s problematic, makes mistakes—big ones—and seems to run headlong into danger. I did, however, ache for her loneliness and was gutted how some of the events unfolded. All of the relationships in this work are conflicted—they’re morally ambiguous, uncomfortable, and at times, incredibly disappointed. 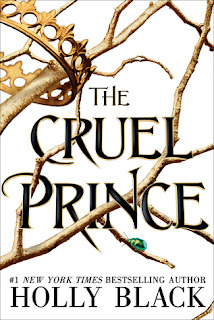 As for the Cruel Prince – he was a magnetic character, but I loathed him, and even character revelations didn’t change that. In saying that, I can’t wait to follow on with the next book. If you’re looking for an engrossing read that you can’t put down – this is highly recommended!